If you'd walked the hills of Mellor 200 years ago and followed the line of Marple's brand new Peak Forest Canal with your eye, you'd have been amazed to discover an ancient medieval castle with tall chimneys churning out great clouds of smoke into the sky. The area would have been a hive of industry, with people scurrying to and fro, canal barges loading and offloading, horse drawn carts arriving and departing from covered despatch buildings and wagons on rails being pulled by mules. You might think you were gazing at an ancient monastery built by a strange sect of monks, or perhaps the ruins of an old cathedral being reused for some unexplained purpose. You would have been forgiven for these thoughts, as it was the designer's intention that you be deceived. Having no wish to spoil the view from his favourite spot on the Mellor hillside, where he often sat to survey his accomplishments, Samuel Oldknow chose this unique design for the Lime Kilns at the heart of his new industrial complex on the embankment of the Peak Forest Canal. The main objective of the new canal was to improve the transportation of bulk manufactured goods and raw materials, particularly limestone from the quarries at Dove Holes, high up in the Peak Forest. Oldknow employed mainly women and children in his mill at Mellor and recognised that as well as these direct benefits, the canal would provide increased employment for the men of the district. He became its chief promoter and a major shareholder in the canal company, so it was a logical step for him to construct the Lime Kilns and take further advantage of the investment he'd already made in the canal's construction. 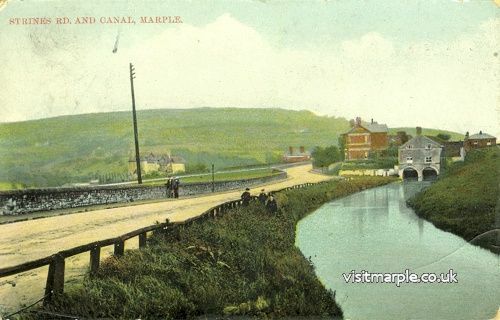 The upper section of the canal, between Bugsworth and Marple, was completed in the summer of 1796 and the earliest recorded consignment of lime conveyed by boat was on 31st July the following year. The Lime Kilns began operating shortly after this, in the autumn of 1797. The total cost of construction was £4,561 3s 9d, the equivalent of £446,600 in 2017. This was spent in several stages as additional kilns were added alongside the first in 1798, 1799 and 1800. It also probably included the cost of constructing the canal arm between the despatch area and Posset Bridge, where it re-joined the main canal below lock 13. This arm of the canal, which ran along the side of Strines Road, was filled in long ago but the blocked up entrance can still be seen under the bridge. The tops of the kilns were on the same level as the upper section of the Peak Forest Canal, so when limestone arrived at Marple from the quarries at Dove Holes by boat, it could be tipped directly into them. One ton of coal, conveniently mined on the spot, was added for every three tons of lime. The finished product of burnt lime was extracted from grates inside the tunnels at the bottom of the kilns and loaded into mule drawn wagons to be conveyed along a short tramway leading to the upper levels of the two covered despatch houses. One of these provided sufficient shelter from the weather over the canal arm for two boats to be loaded at a time, and the other was used for loading horse-drawn carts for local deliveries by road. In more recent years, both despatch buildings have been converted into unusual and attractive private homes. Before the locks were completed a tramway was constructed that ran a distance of 1¼ miles from the Lime Kilns to Marple Aqueduct on the lower level of the canal. This became so busy that it operated for 24 hours a day and continued to be used for several years after the locks were finished. Lime was used for many purposes and around half the output from Oldknow's kilns was taken by boat as far as Bolton, Bury, Rochdale, Saddleworth and other Lancashire and Yorkshire towns. Around three quarters of the remainder was used in farming, much of it by Oldknow himself, who became a pioneer in the use of lime and a leading figure in experimental and scientific agriculture. The balance was used by local bleaching houses, calico printers and for building operations. Although Oldknow may have run the lime burning business himself to begin with, he certainly didn't do so for long. In 1798 he let the business to a group of four men named Joseph Heathcote Snr., Joseph Heathcote Jnr., William Fletcher and Anthony Ashmore. He paid them 2s (£5.96), later reduced to 1s 8d (£4.97), for every twenty horse loads of lime they produced. In 1799, 52,000 horse loads of lime were achieved, whilst the following year, helped by the addition of the new kilns, output rose to 74,000 loads. Unfortunately records for subsequent years are incomplete, so it's not known if these production levels were ever bettered. One thing is certain however; in 1805 the business was reported to be in decline and by 1808 a loss of £2,027 had been accumulated. Oldknow blamed this situation on the Napoleonic War, lamenting that, "the war as it were swept away the means of effecting great designs". These problems lead Oldknow to decide he would give up the lime burning business and in 1811 he leased the kilns, canal basins, tramway and other assets associated with it to a firm called Wright and Brown. It's not clear for how long Wright and Brown operated the business but by 1834, six years after Oldknow's death, the kilns were being run by the firm of John Clayton and Co., his successor and half-brother, who had taken over the running of Oldknow's other ventures too. By 1858 the kilns were said to be the property of the Arkwright family and were being run by a lime burner called George Swain who, by 1864, had given up that trade to become licensee of the Navigation Hotel. 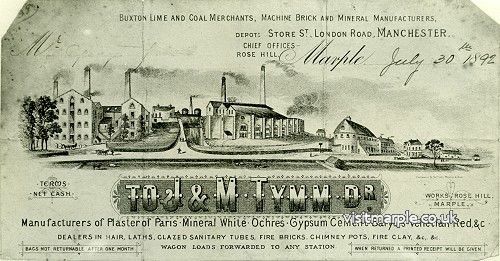 Some time between 1860 and 1876 the Lime Kilns were taken over by the brothers Jesse and Wright Tymm, who carried on a successful business as lime burners and manufacturers of plaster-of-paris and fire bricks. 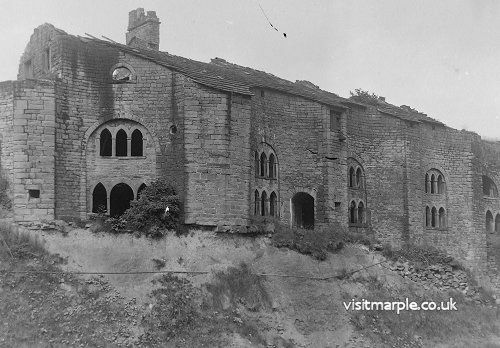 They also owned coal pits in both Marple and Mellor. One of the Tymm brothers lived at Bleak House, just a short distance from the site of the kilns. The other brother built himself a new property, which became known as Lime Villa. Later the Tymms opened the Klondike Brickworks at Rose Hill, on the site that is now the Council Depot. They built two new houses at the entrance to the works, just below the Railway Hotel and the brother who had previously lived at Lime Villa moved into one of them. 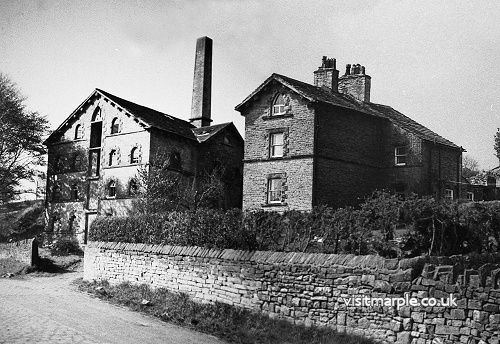 In 1887 the brothers bought the Mineral Mill adjacent to the Lime Kilns, which had also been built by Oldknow as a corn mill many years earlier. The Tymms continued to operate independently until 1891, by which time competition had become increasingly fierce and prices were forced to uneconomical levels. They then became part of an amalgamation of thirteen companies, called the Buxton Lime Firms Company Ltd. This enabled business to continue for another decade but although the Buxton Lime Firm was still listed as active in Marple during 1902, all operations at the Lime Kilns ceased around this time and I.C.I. Lime Division eventually swallowed up the amalgamated company. 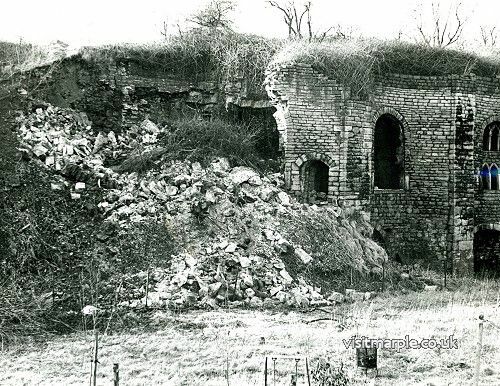 It is said that the Lime Kilns actually included dwellings for some of the people who worked there. It's not clear if Oldknow built these into the original design, or if they were a later addition. It's also not known when they were last occupied, but there are gravestones in All Saints' churchyard bearing the names of people whose addresses are given as "The Limekilns" and similar entries in the 1851 Census support these stories. Following their closure at the turn of the 20th century until the early 1960's, little thought was given to the kilns, or their deteriorating condition. The familiar tales of vandalism and neglect, which have seen so many of our historical assets reduced to rubble, sadly made no exception for this unique structure. In 1963 efforts were made to have the kilns scheduled as an ancient monument and for the nearby cottages and farmhouse to become listed buildings of architectural and historic interest. This was eventually successful and the kilns were scheduled for Ministry protection as an ancient industrial monument. Newspapers of the time reveal that strong support for the preservation of the kilns had begun to gather, with fund raising by Marple Antiquarian Society, substantial cash donations, proposals for archaeological digs and the purchase of land by an anonymous benefactor. 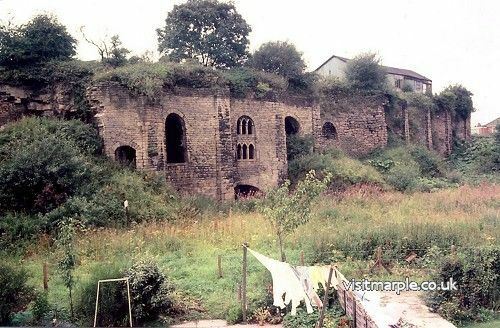 Unfortunately though, nothing had actually been done when, in 1966, there was a substantial collapse resulting in the loss of one of the kilns. This was followed by much procrastination caused by conflicting surveys into the condition of the remains, suggestions that the only option was demolition and counter arguments that demolition was not possible because the kilns extended so far under the canal embankment that the canal itself would be endangered. Unbelievably, the arguments and debate continued well into the 1970's. 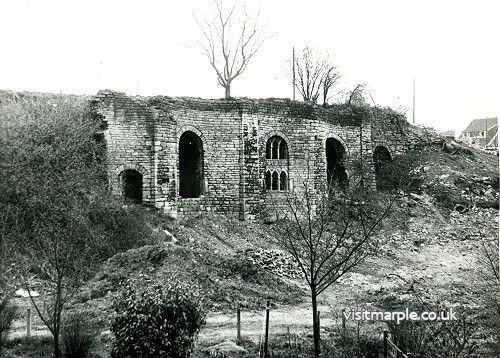 The frustration of the Antiquarian Society can still be felt when reading their "A History of Marple", which says, "After many unavailing efforts to save them, the Lime Kilns were finally 'battered to a satisfactory angle' and the site landscaped at the cost of £6,437 in 1973/74." Incredible as it may seem, even this was not the end of the saga. A report in the Stockport Advertiser in October 1975 reveals that the work on the kilns was not done to a satisfactory standard and the Department of the Environment refused pay the grant unless remedial works costing £7,469 was carried out. This work was never done and today the remains of the kilns only hint at their former glory and historical significance. This page appeared as an article by Mark Whittaker in the July 2002 issue of the Community News, in our regular feature "Local History & Heritage with the Marple Website". The article relied heavily on the facts described in Historic Industries of Marple and Mellor by Marple Branch of WEA and their research note found in Marple Library. Archaeological digs and investigations have been undertaken as part of the Reavealing Oldknow Legacy Project and there are plans afoot to landscape the area and to form a Friends Goup. So it looks like this Scheduled Ancient Monument is about to receive some long overdue care and attention. For further information visit the Oldknow Legacy Project.